While the nation mourned throughout the day at the news became clearer, flocks of people flew to social media in order to call for prayer. While people stretched for miles in line to donate blood, members of the LGBTQ community were prevented from offering their arms. While media outlets were quick to blame the rise of Islamic terrorism, people changed their profile pictures in solidarity with a battered community. While 50 children of God were murdered for nothing more than their sexual identity and physical location, the UMC still believes that the practice of homosexuality is incompatible with Christian teaching. While Christian communities wrestled with how to respond to this tragedy, politicians and public figures quickly deleted online comments like “you reap what you sow” implying the victims got what they deserved. While the world watched the most powerful nation in the world fall to its knees in sadness, many Americans have grown numb to the seemingly endless onslaught of gun violence across the land. While emergency responders and police returned home to hug their children, details about the victims were made available to the public. While we weep and mourn the loss of life, we remember the words from Paul: There is no longer Jew or Greek, there is no longer slave or free, there is no longer male and female. Or, to take it further, there is no longer gay or straight; for all of us are one in Christ Jesus. As Christians it is our responsibility to be Christ’s hands and feet for the world, we are called to stop seeing events like the one in Orlando as a call to arms, but a firm commitment to peace. There is no greater time than now to start seeing the LGBTQ community as our brothers and sisters. The sermon title this morning is C.O.G. 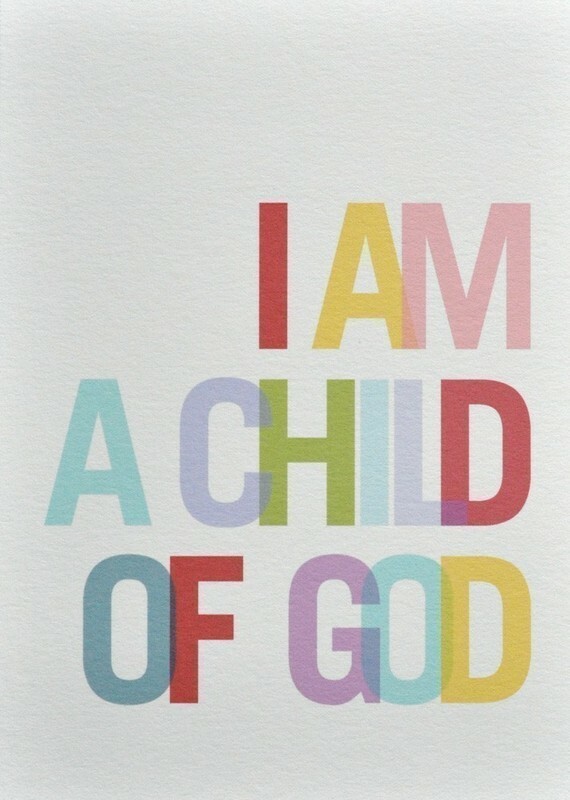 which, if you are unfamiliar with the acronym, stands for Child of God. Made popular by the evangelical movement, COG is an identification with those who are part of a Christian community. For me, the use of child of God, happens whenever I baptize an infant or an adult. After going through the entire liturgy, blessing the water, and baptizing in the name of the Father, Son, and Holy Spirit I always announce that they are a child of God. There is just something incredible about receiving a new identity and a family through baptism that orients one’s priorities toward the divine and the new family that is the church. Other than baptisms, I use Child of God when referring to our little preschoolers that gather here during the week. It has been strange recently, since they are on Christmas break, the hallways and building have been significantly quieter, and I have gotten a lot more work done! 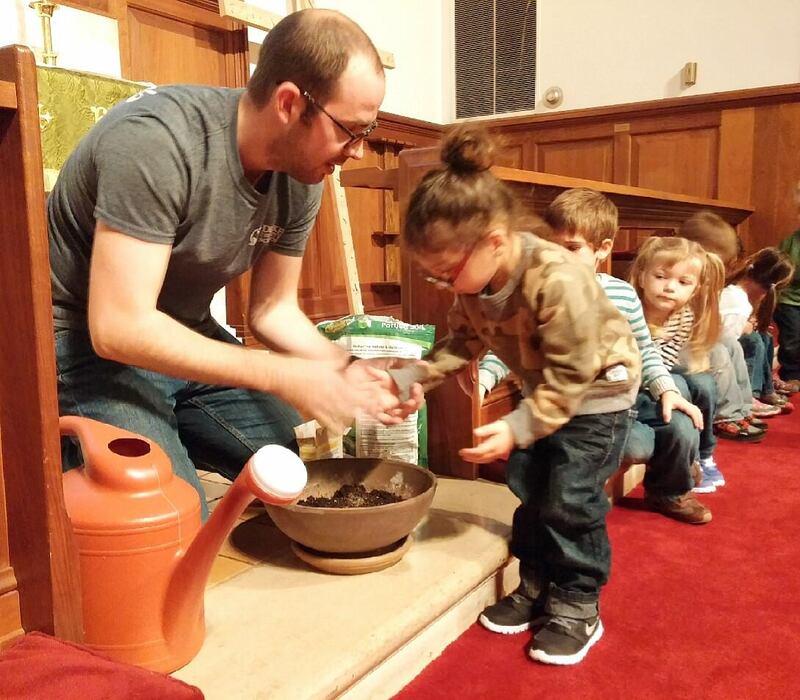 Nevertheless the COGs in our Preschool are one of the most important elements of our church and I believe in sanctioning my time in such a way that I can be with them and communicate the gospel in as many ways as possible. This has taken place from being present at the basement doors every morning to welcome the children and families, to inviting them for regular church functions. But the way that the gospel is best communicated is during our weekly chapel time here in the sanctuary. While many of you are at work or home, studying in school or day-dreaming about the future, all of our COGs make their way to the choir loft and they sit in eager anticipation of a new story. We began in Genesis and have made our way to the time of David, we have made Chicken Noodle Soup, and gone through obstacle courses, we have drawn our own technicolor dream coats, and we have pretended to be our favorite animals on Noah’s Ark. The kids were silent and listening attentively. I don’t remember anything else I said, even though I went on for awhile, because I was distracted by something else. While I was holding Jack in my arms, I could feel his heartbeat through my hand. This precious and vulnerable little child, who I was wrestling with, was gripping me so tightly that I could feel his little heart beat. In an instant the lesson I was trying to communicate took a different form for me as I realized how fragile this child was in my arms and the kind of ways that we strive to take care of other children. In a fraction of a second I felt afraid of letting him go, out of fear of what could happen to him. Though not even a father, I felt responsible for him, and was terrified of what might happen if I let him go. When the fullness of time came, God sent his Son in order to redeem us so that we might receive adoption as children. The world was a strange place when Jesus was born in Bethlehem; indeed the fullness of time had come. Between the Old and New Testaments a lot had taken place and changed. For a while the Jewish people flourished as their culture continued to grow and spread until Antiochus Epiphanes brought about a horrific wave of persecution. The Jews were hated and tortured for their faith and were driven to armed rebellion. People, for the first time, were traveling beyond the cities and towns of their birth to see greater parts of the world. During the time of Christ’s birth, the world was full of change and excitement. Add to that the Roman network of international highways over which the first Christian missionaries traveled, and the Greek language that united many different people under one tongue. This was the specific and the right time for God’s new intervention in the world. Long anticipated through the Old Testament, the time of the Lord’s favor had begun. Born into the rude stable that so many of us display on our coffee tables and mantles, God’s Word became incarnate in a baby born to a virgin. By becoming like us, by taking on our flesh to be just like us, God adopted us into his heavenly family so that we might become heirs and children of God. Paul is then writing and pleading for the very thing that makes Christianity unique; the change that Christ can make in someone’s life so that they can possess and exercise total freedom. Being Christian is all about freedom. God came into the world to free us from sin, and to free us for a new life. However, this incredible gift cannot be brought about by unquestioning adherence to a book of rules. 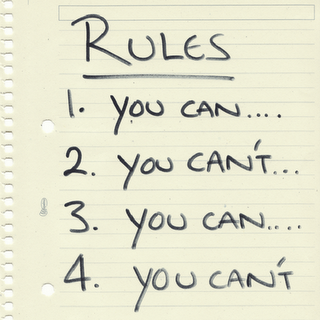 Otherwise we choose to break the rules, or we let the rules break us. Too many of my friends have left the church, and left the faith, because it was made into a rule-system by which they were required to follow. Like the child I held in my arms during chapel time, the church refused to let them go and experience the freedom to question, doubt, and explore. Perhaps when they were younger the church had been life-giving and exciting, but as they grew older it felt suffocating and demanding. They heard about the “freedom” that Paul wrote about, but they certainly didn’t feel it in their own lives. They were taught to so fervently keep the faith whenever they doubted, even just a little, that when they had a crisis of faith their entire discipleship fell apart and they left the church. Paul’s thoughts to the Galatians opens up a new vision of what it means to be a Child of God, and how we can, in turn, nurture other COGs around us. I held on to Jack and I felt his little heart beat in my hand. I began to play in my head all the terrible things that could happen to him once he was released from my protective bubble. I thought about what I had shared with the children: God loves you so much that he will never let you go. But that’s not exactly true. God loves us to such a degree that He will not abandon us, but at the same time God gives us the freedom to question, to raise our clenched fists in the sky in frustration, and to wonder about what all of this faith stuff actually means. In that profound moment kneeling on the floor of our chancel I recognized that, like God, I had to let him go. That God’s love was so great and incredible that no matter what happens to him, God will never abandon him. That we have to give our children freedom to make mistakes and explore the world, because that’s the only way that they will come to know our God as “father.” They cannot experience God’s divine loves through a book and moral expectations alone. They will discover God’s majesty in those moments when they begin to doubt, and recognize that God’s love remains with them anyway. Only a bible like ours would contain the psalms, a tremendous source of writing that has almost every single human emotion, most of them directed at God. Only a faith like ours would gather in grieving people for funerals and triumphantly declare that death has been defeated in Jesus Christ even when the loss of a loved one feels so horrifically overpowering. Only a God like ours would let us wrestle and walk away and still see us as his children. Years ago I was lamenting with one of my friends about the ways certain Christians give others Christians such a bad name. It felt like every time I turned on the TV there was a report of some pastor abusing power from the pulpit, some church spouting off with heretical theology, or some Christian organization bashing anything and anyone that did not look or sound just like them. I remember feeling beaten by these rogue Christians. How could we ever make the church appealing again if people like that are getting all of the attention from the media? Why don’t we share information about all the good the church is doing in the world? Why don’t we ever hear about the food pantries and clothing drives that are saving communities? My friend listened patiently as I went on and on listing my complaints. She smiled politely whenever I went off on another tangent and waited for me to finish. “What makes you so sure?” I demanded. Part of what makes our faith so beautiful is that we have been brought into God’s great family as children. We have been adopted into a new identity because God came to be Emmanuel by our sides. As God’s children we have been given the freedom to love God with our hearts, minds, and souls, and we have been given the freedom to question and wonder. The future of our faith will largely depend on how we continue to nurture the spiritual questions of people young in the faith. We might want to grip those around us with structured rules of how to live and behave, but remember that God came to be with us to adopt us as children; our heavenly Father has given us the freedom that brings about true faith. The world was a strange place and full of new and exciting things when Jesus was born in Bethlehem. The world is still a strange place and full of new and exciting things. It will take a tremendous amount of courage to see others as Children of God just like you and me; to give them freedom to doubt, to be patient with their foolish ways, and to not abandon them. But if God is willing to do it, shouldn’t we?